We checked out the Opel Adam R2 Rally concept and its 1.6-liter four-cylinder engine with 185 horsepower and 140 pound-feet of torque at the Geneva Motor Show. The one-make series the car was built for, the ADAC Opel Ralleye Cup, has kicked off with 24 teams in identically prepared cars lining up for eight races in this inaugural season. Meant to help young drivers find a less expensive way into motorsports, the championship is part of the German ADAC Rally Masters series and will actually run 140-hp cars. We're not sure how much the Opel prepped by Holzer Motorsport for this series costs, but English company M-sport prepares an R2-spec Ford Fiesta with 170 hp for 43,000 pounds (about $66,000 US). There's 100,000 euros in prize money up for grabs and the cup winner gets career help, a shot at the Adam R2 car in 2014 and a chance to hop into rally-prepped Opel Corsas. 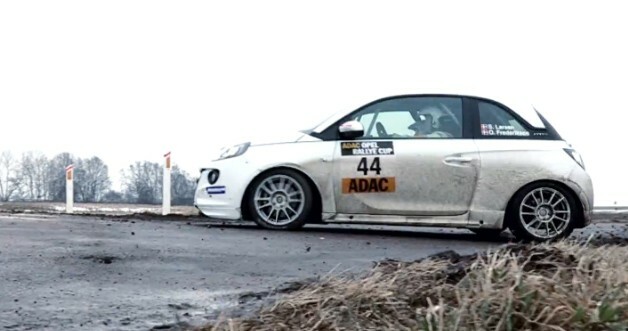 Rally for youth with footage of the Opel Adam Rallye Cup Car originally appeared on Autoblog on Tue, 09 Apr 2013 12:44:00 EST. Please see our terms for use of feeds. زيارة موقع العضو اخبار مصر موتورز!